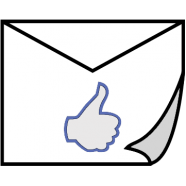 Challenges of Electronic Communication in Freemasonry | Federal Lodge No. 1, F.A.A.M. of Washington D.C. The challenge for Federal Lodge, as it enters its next century of service, is not only how do we get ahead of operational and tactical communications curve balls, but also how we adapt today’s social media to ways befitting our fraternity’s needs, our ideals, and our beliefs. For almost two years, I have been looking for ways to develop the private membership and lodge management needs of our Worshipful Lodge. During the Special Communication of the Grand Lodge, those voting brethren considered and defeated a proposal to allow for the distribution of lodge minutes behind a password protected site. Freemason ‘technorati’ are now engaged in defining a better solution of the paper versus e-communication concerns. I’ve examined password protected spaces flexible enough not only to be communications tools, but collaboration tools as well. Hoban’s Trowel, based on Drupal, the PHP-driven content management framework, offers the potential foundation for governance that other tools like Word Press or Joomla cannot replicate. Yet it has been made clear to me that in its current state this system fails to provide a good answer to Lodge needs. The rejected proposal is included here for you to see is but one example of Mason Brothers coming together to synthesize a solution. The interpretation of the proposal not passing is beyond the scope I wish to address here, but what is part of my message is congratulations to those Brethren who collaborated in an attempt to address our current communication issues. I suggest we do the same in emulation of them. SEC. [new #]. 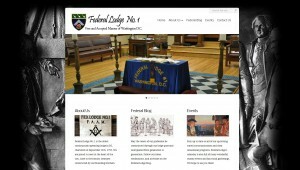 If a Lodge has a website, the Lodge must keep its website current. Nothing improper shall be included nor linked to a Lodge’s website. The minutes of the Lodge and the names of petitioners or candidates may be listed in a section of a Lodge’s website if and only If access to that section of the Lodge’s website is limited to members of that Lodge only. Controversial subjects, including discussions of religion or politics, shall be avoided on Lodge websites. While names of officers or members may appear, no personal information, such as addresses, email addresses, photographs, or telephone numbers are permitted without the express, prior approval of those individuals. Email listservers do not engender any expectation of privacy; names of petitioners and candidates are not to be communicated in this manner. Emails sent directly to email addresses that may be accessed by Lodge members only may contain the names of petitioners and candidates. The use of a website does not satisfy the requirement for due and timely notice and may not be the sole notification to the membership for such notification as calling special communIcations and balloting on petitions. 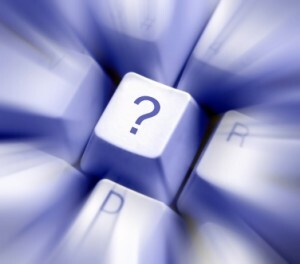 The use of direct email or email listservers does not satisfy the requirement for due and timely notice and may not be the sole notification to the membership for such notification as calling special communications and balloting on petitions, except for those Lodge members who have expressly opted out of hardcopy mailings of Lodge communications. Reproduced copies of minutes or other Items of Lodge business may be distributed within the Lodge. Because they are related to the internal business of the Lodge, care shall be taken not to discuss in a public matter the material contained therein. The dissemination of Lodge minutes to Lodge members by email is prohibited, but Lodges may submit minutes to the Grand Secretary by email. Lodges are authorized to distribute Lodge minutes to Lodge members by hardcopy mail or, as provided above, in a section of a Lodge’s website it and only it access to that section of the Lodge’s website is limited to members of that Lodge only. 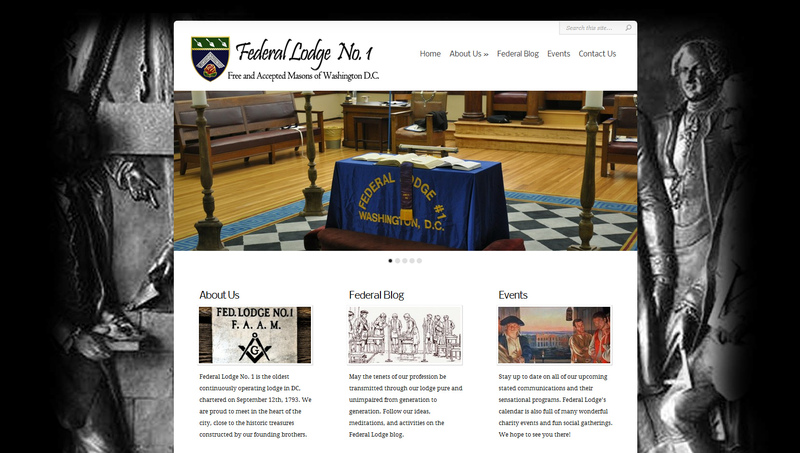 Last year’s work as Ol’ Federal revamped our lodge web site served as a vivid reminder of both the challenges and benefits of working with virtual ink. The challenge of how best to communicate a message in 2012 is complicated by the multiple ways available to communicate that message. Yet the benefits of modern links to our growing Masonic ‘audience’ were sufficient impetus for the web site committee and the lodge to update our modes of communication. As a result, Federal has taken a great step forward in building stronger relationships, both between Brothers, and with prospective new members. This effort is not completed. The lodge needs to take the example of the website committee, its challenges and its successes, and push harder for wider and greater dissemination of our needs, our ideals, our relevance, and our objectives within modern options for interpersonal communication. As part of this process, among other questions, we need to ask the following: What content do we need to keep from year to year? What content do we want to change from year to year? What do we hope to achieve by using the electronic methods of communication at our disposal? Ol’ Federal deserves answers to these questions, answers that create harmony and support growth. For at least a year, our own lodge secretary has solicited feedback about how to improve the Trestleboard, the most traditional venue of lodge communication apart from our meetings and their minutes. The Trestleboard functions as the official voice of the Lodge outside our meeting room. In that context, it can either function successfully as the official conduit for information that should be known by all Brother of Federal or it can fail to reach its intended audience when it sits unopened in an ‘inbox’. There are constraints about when, how, and to whom the Trestleboard may be shared that require careful consideration as it is made available through less protected, more easily accessible electronic alternatives. The ‘secret’ nature of our fraternity regarding our ritual and our membership has given rise to a very real debate between sealed paper correspondence and unprotected web content as the most practical and judicious means of conveying Lodge information to the Brethren. In recent years, the seated Masters of Federal have struggled in a variety of ways with lodge communications, and not merely with the simple aspects of “due and timely notice,” or the effective use of the Trestleboard. I will not detail my witness of the work of Worshipful Brothers Jeff Holt, Bill Rule, Lance Freedman, Mark Shapiro, or Michael Black to address the communications issues of the lodge to the best of their abilities. But that each of them did, in different ways with different effects, needs to be known and pondered supportively and collectively. In informal discussions, the pillar officers have pondered a possible new leadership role, titled Lodge Communications Director. One might ask, “Well isn’t that the lodge Secretary?” [To which I would answer, yes, nothing will change the engrained role of that office in the near future. But even lodge secretaries need and like help from time to time.] Another might ask, “Aren’t these technologies intended to manage the content authored by (the) empowered voices of the Lodge?” Or, “Isn’t that role already filled by such and such a brother?” These are all questions that will need answers constructed within the traditions of the Craft. What can you do to help? You can write for the online lodge blog, you can write for the Trestleboard, you can offer help to the lodge secretary, you can write concise and thoughtful emails to the Worshipful Master about what your communications preferences are and how you think things could be improved. There is no shortage of work to do, and your help is an important contribution to taking us ever closer to that perfect temple. Discouraging voices and viewpoints as articulate, as intelligent, as impassioned by Freemasonry, and as involved as our Federal Brothers would be a mistake, even if those voices pose greater challenges in shaping and managing the Federal message. Again, I say, let’s get to work, Brothers. The quarry is full, our hearts open, and our minds and bodies ready to labor.